Forum Home - > Off Topic > Chit Chat > Introductions Hello from Michigan! Just thought I would say hello! I joined this site today, and am looking forward to everything it has to offer! I've been listening all morning to Powwow radio, and it is my favorite feature here so far. I'm an ojibway living in Michigan, originally from Ontario. I enjoy beading, reading, travel, and visiting family and friends. I also enjoy the powwows and the grass dancers are my favorite. I used to dance traditionally, but now I'm just a spectator. I hope someday to have my own craft (or frybread!) booth, but right now it's just a dream. I'm a married, stay at home mom to my son and daughter. But it might work out if I ever decided to do that, I think my kids would really benefit from going on the powwow trail. If you would like to see some of the beadwork I have done, please check out my watchbands pic in the trading post. Anyway, this is all for now. 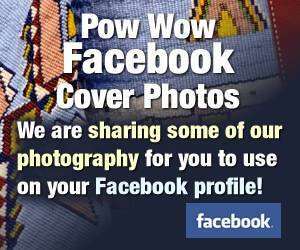 See you around powwow.com! come on over here, and say Hi! and let us show you the love!! Give it up Usdigvhi...EVERYBODY in Michigan HATES!!!!! Ohio State!!!! !.........it is almost mandatory to live here! Glad to know you're having a blast already!!! I am now going to assault your mind with subliminal messages! welcome to the site. its pretty fun..